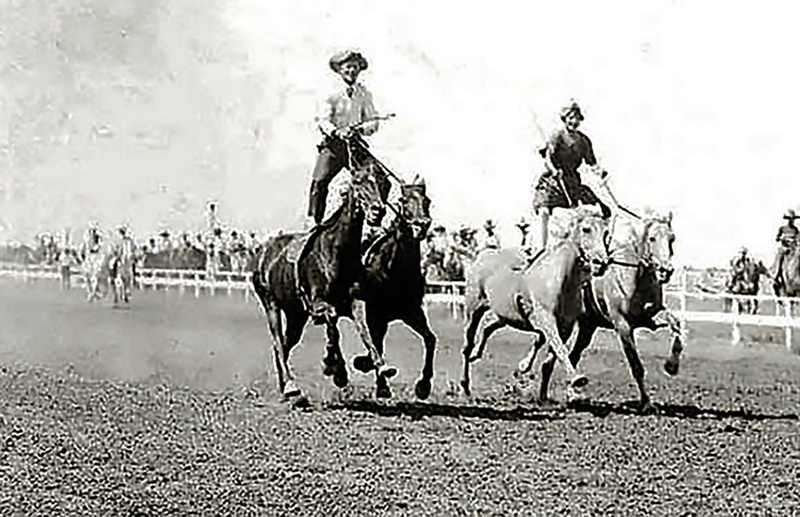 “Trick” riding refers to the act of performing stunts while riding a horse, such as the rider standing upright on a galloping horse. “Roman” riding refers to a method of horseback riding in which a person stands astride a pair of horses. 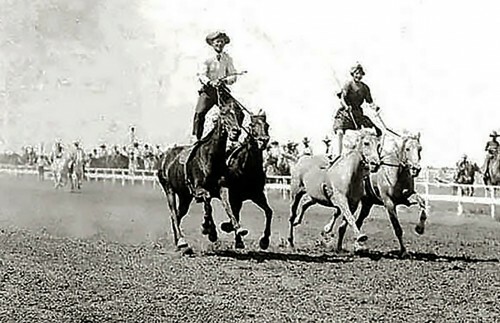 Other stunts might include hanging upside down off of the side of the horse while attached to a strap or jumping on and off a galloping horse. Learn more about trick riding and roman riding.